Did you know that about Cranberries? Cranberries are one of only three native North American fruits – the other two are blueberries and Concord grapes. 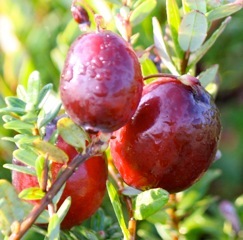 Wisconsin is the largest producer of cranberries in the United States. Learn more about cranberries at Cranberry Square Farm Market and through various resources below. The Wisconsin State Cranberry Growers Association (WSCGA) is a member-based organization designed to cultivate Wisconsin’s cranberry industry and support its growers through useful educational resources, responsible environmental stewardship, sound governmental policies and effective public communications. 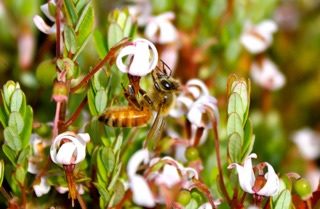 The Cranberry Institute is a not-for-profit organization founded in 1951 to further the success of cranberry growers and the industry in the Americas through health, agricultural and environmental stewardship research as well as cranberry promotion and education. The Cranberry Institute is funded voluntarily by supporting members that handle, process and sell cranberries.